It might seem like a trivial thing but dental health is critically tied to overall health. Keeping a healthy mouth will work wonders on all aspects of the body, some you might not even expect. Of course, dentists have known for a long time that brushing your teeth can fight plaque and gum disease. But in the last few decades, several unexpected strides have been made in the field of dentistry that link together other aspects of health, some of those links entirely unknown until now. What follows is a brief list of benefits that proper dental health can have on other aspects of the body. Many are strange. Some are astounding. And all of them, we’ve come to find out, are very surprising. Of course, the physical benefits of a strong jaw and teeth are the most obvious. But they’re also the most consistently underrated. 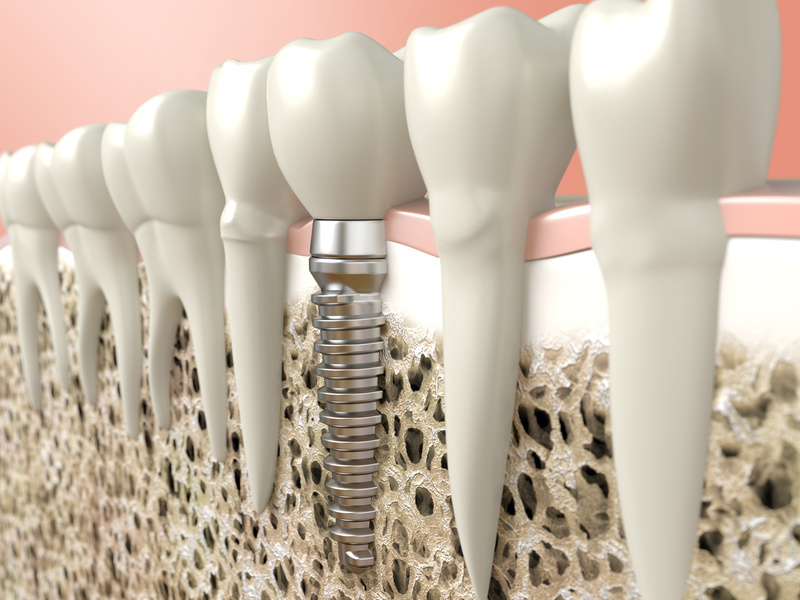 Many people, some missing teeth entirely, feel physically better when they get implants. That’s understandable but that’s nowhere near the entire story. Healthier teeth have been linked to better digestion and GI health overall. Stronger chewing means an easier time absorbing the food lately. It also means less chance of pesky bacteria slipping through to cause an illness. This effect is slight in every individual circumstance but it adds up over years and years. It’s a symptom of care that leads to a more care elsewhere. It isn’t a hard part of your body to maintain either. A simple tooth-brushing twice a day is enough to keep your teeth healthy and, subsequently, keep your entire body healthy. If you have persistent pain or problems with your teeth, consider getting implants or fillings that might help with the problem. You won’t be sorry you did. This is one of the wildest and strangest connections they’ve discovered. Dental health, it seems, is connected in subtle ways to mental health and positive self-image. Taking care of your teeth is a great way to boost confidence in your life and overall internal structure. It’s a small part of a much bigger push for a organized and uplifting inner life but it certainly counts. Even something as simple as getting veneers can make someone feel better if they’re self-conscious about their teeth. And the cumulative effect of that self-care shows. It isn’t about taking care of your teeth. Not exactly, anyway. It’s about caring for every aspect of yourself, even your emotions and even through something so small as knowing your teeth are healthy. It’s about confidence in your own abilities and smiling. People definitely respond to that. All it takes is a little bit of effort. Social health might sound a little strange but it’s vital for a person to function in a day-to-day environment. This type of health is closely connected to psychological health but it is separate from it in a few distinct ways. The implants might make a person feel better but it stems in no small part from the positive reception that other people give to their positive reception. The person gives out confident vibes and gets the same vibes in return. Social health is how well a person functions within the social circles they inhabit. It’s a bit tricky to define but, the more socially healthy a person is, the calmer and more empathetic they will be, both to people they know and don’t know. Of course, we can all struggle with this and the health of our teeth isn’t the be-all, end-all, of social health. But a healthy smile, a boost in confidence, it certainly doesn’t hurt. It all comes back around in the long-run. Humans are social animals. They respond to positivity and give positivity in return. With a healthy smile and the knowledge they’ve done well for themselves, a person can be more compassionate towards others who will in turn do that for yet more others. It’s a cycle, started by the small things. Implants and veneers might not seem important and in some cases they aren’t. But, in a lot of ways, the little things are all that matter.